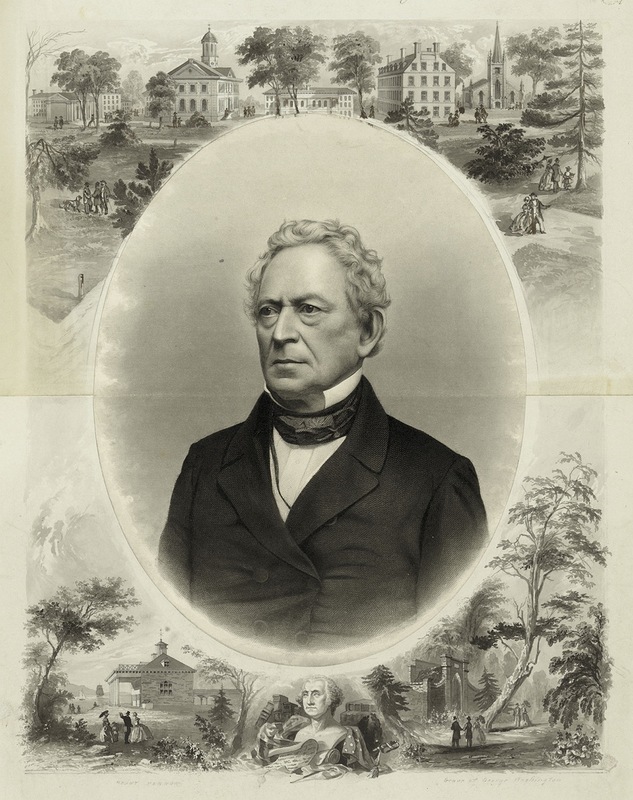 History has not been kind to Edward Everett. A preeminent public man of the nineteenth century, brilliant and honored, he is today too often relegated to a supporting role: it was Everett whose 13,000-word oration, delivered at the dedication of a national cemetery on the site of the climactic battle of the Civil War, was forever upstaged by Abraham Lincoln’s roughly 270-word Gettysburg Address, 150 years ago this November 19. But for Americans in the decades before the war, only Daniel Webster outranked Everett as an inspiring speaker. When Everett stood to deliver his 50-page address at Gettysburg, he was more of an attraction for the audience of 20,000 than the president who was to follow him. Almost 70, he was admired not only for his oratory but also for his public service in an impressive variety of endeavors. The son of a retired minister and local official in Dorchester, Massachusetts, Everett was only eight when his father died. Thanks to a legacy, he was sent to Phillips Exeter and then Harvard, which he entered at 13. (In his time, he was accounted the brightest student in the history of the College.) Graduating first in the class of 1811, he went on to the Divinity School to prepare for the ministry. Not yet 20, he began to preach at Boston’s Brattle Street Church, then the city’s foremost. He quickly gained fame among his parishioners, but found the pulpit intellectually confining. When Harvard offered him a grant to study classical languages in Europe, so he might take up a professorship in Greek, Everett abruptly resigned his ministry. With a scholarly friend, he left for four years of travel and study, centered on the University of Göttingen, where in 1817 he received perhaps the first Ph.D. degree ever awarded an American. Once back from Europe, Everett embarked on a headlong career of public achievement that continued for more than 30 years. When he quickly grew bored teaching Greek grammar to college boys, other fields opened. His European studies had convinced him that American education needed higher standards of scholarship, which he felt well equipped to uphold. In 1822 he had married Charlotte Brooks, the daughter of a prosperous Boston financier. Relieved of the need to earn his living, Everett became editor of the North American Review, a high-minded journal of politics and culture, until 1825, when he was elected to the U.S. House of Representatives. He would become, successively, governor of Massachusetts, U.S. ambassador to Great Britain, secretary of state, and U.S. senator. Everett’s political career assisted, and was assisted by, his public role as an orator. His was an age of gargantuan speeches two hours or more in length, rhetorically grand and flamboyantly delivered. Everett composed his with care, memorized them, and patiently refined and rehearsed the dramatic gestures that went with them. His addresses on the battles of Bunker Hill, Lexington, and Concord were famous. He delivered his celebrated oration on George Washington, modified and updated, for more than five decades. He was serving in London in 1846 when the Harvard Overseers elected him president of the College. Everett had enjoyed his diplomatic work, but took the Harvard post despite worry that it would involve too much mundane administrative detail. In fact, his three-year tenure was a debacle; the young gentlemen ate their new president alive. He hoped to turn Harvard from a genteel academy for Greek and Latin instruction into a magisterial research institution like the German universities he had admired 30 years earlier. Instead he was beset by unending tasks both trivial and distasteful, especially disciplinary. “Nominally the head of a great literary institution, I find my self in reality the justice of a police court…,” he wrote. He was burned in effigy, his office set afire, his prim demeanor mercilessly pilloried. By 1847 he had decided to resign; in 1849, he did. In 1852 he became (briefly) President Millard Fillmore’s secretary of state. In the turbulent politics of his time, Everett was a pragmatic Whig, a moderate nationalist, who hoped by negotiation and compromise to preserve the constitutional union despite the widening fissure over the future of slavery in the expanding republic. By 1854, when he retired from politics, his party had broken up over abolition, and the nation seemed headed ineluctably for dissolution, a course he observed with increasing alarm. But when war began, he didn’t hesitate to put his considerable influence, as a man of affairs and an orator, behind the Union cause. Given his fame and his association with battlefield memorials, he was the obvious choice as chief speaker at Gettysburg. He gave a history of secession and the early war years, and described the three-day battle nearly hour by hour. He praised the townspeople who succored the wounded. Unlike Lincoln, who spoke after him and conspicuously avoided the issue of war guilt, Everett squarely and bitterly blamed the Confederate leaders, contemptuously dismissing as “wretched sophistries” their philosophical defenses. Castle Freeman Jr. is a freelance writer living in Vermont.